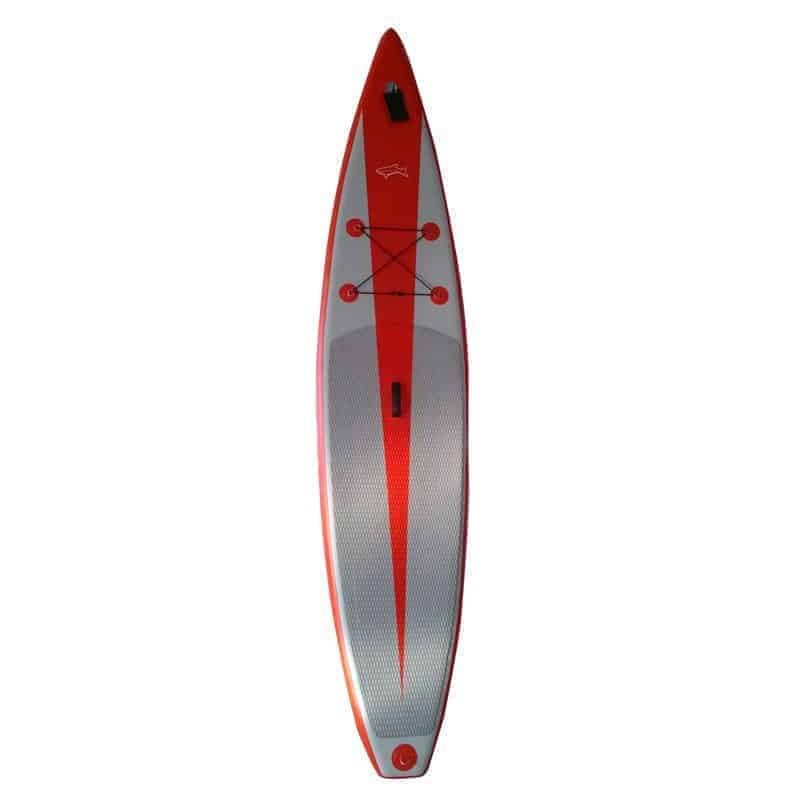 Jimmy Lewis Stiletto inflatable sup – SUP, Windsurfing UK. 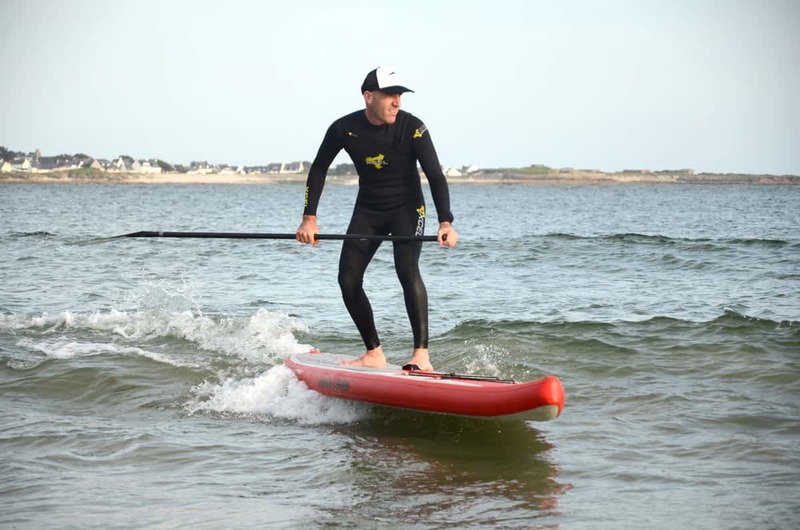 The Jimmy Lewis Stiletto inflatable sup is a distance, race and downwind machine. A 12’6 inflatable paddleboard designed to enjoy water time, travel distances and love the rough stuff. So who is it really for and why? A board of this length is designed to travel and cover distances far quicker and more efficiently than the Jimmy Lewis Maestro inflatable that has its feet stuck in the more playful category. The length of this board alone says lakes, river cruises, ocean paddling, racing and more. Whatever you can throw at it. For most people the reason for getting an inflatable paddle board is two fold – ease of transport and ease of storage, but what really are you getting with a blow up board. The first thing to recognise is that not all inflatable paddle boards are made the same. You may have heard people talking of boards that seem to be more bendy and certainly there are lots for sale cheap on ebay that will deliver this trait. The Jimmy Lewis Stiletto inflatable stand up paddleboard has been built with the same level of detail and care as the solid boards. The board construction is double lined which helps to increase rigidity and strength. The Stiletto is a beautiful board to paddle as it performs quite comfortably in a wide range of conditions with a solid rigid feel along its length as well as tracking and handling surf. As with all Jimmy Lewis board the Stiletto inflatable stand up paddle board has understated good looks with the usual tie downs for holding some kit in place for your journey. It comes with a standard fin box should you ever need or want to try a different fin and a comfy and well balanced carry handle. Getting the right board for you. 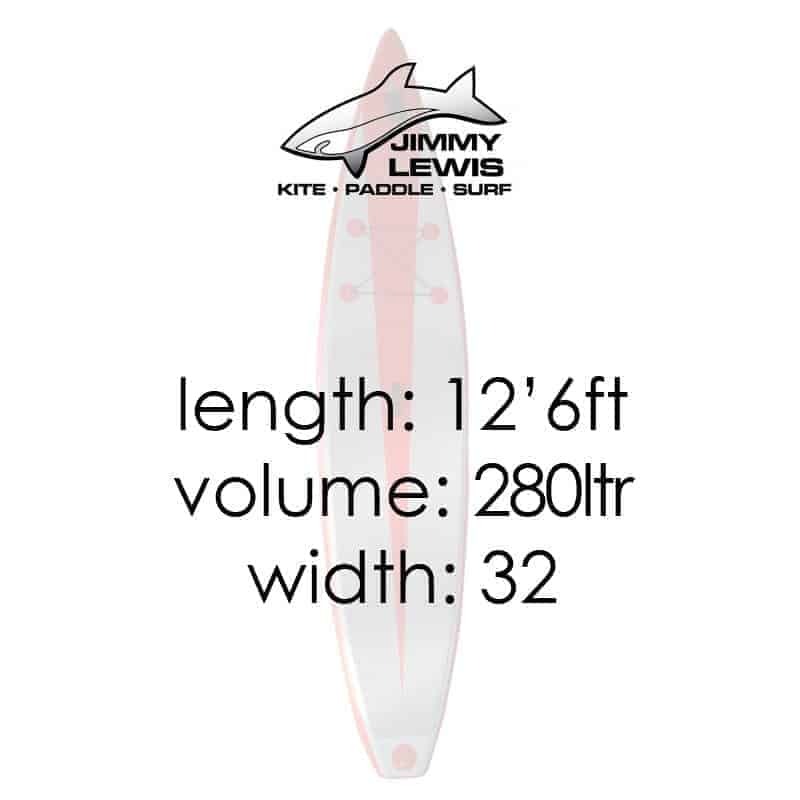 The Jimmy Lewis Stiletto inflatable stand up paddleboard comes in 2 varying widths, 32 and 29. To be honest the 29 still feels comfortable but if you are a real newbie then a 32 will deliver superior stability. That said I am an advocate of learn to ride the kit you have but that isn’t always the case for everyone, so be realistic with your abilities. As a race and ocean race board I wold happily enter this into any class for inflatable stand up paddleboards. It is quick, but more importantly it is really comfortable in rougher water if the ocean is your thing, which also means it is really good as a downwind board to. Don’t forget to pump it up to about 19/20psi to gain even more rigidity within the board. It really makes a difference. Save fishing about for bits and bobs we have put together a bundle so you can simply buy in one place and be on the water within a few days. We have included a leash, paddle, pump, board (obviously), fin and repair kit should you ever need one which is unlikely.